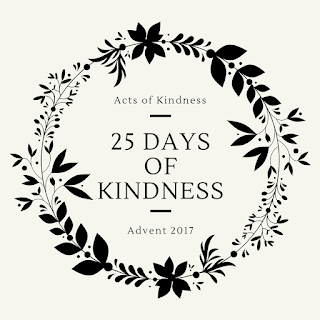 25 Days of Kindness Complete! 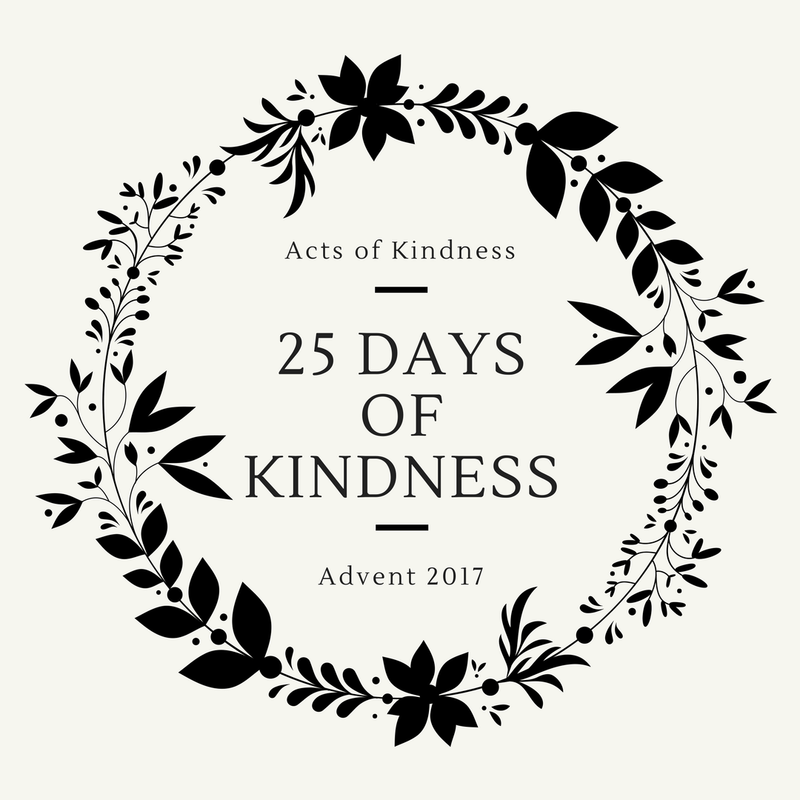 Another year of Advent Acts of Kindness is complete! Below is a list of all the kind acts we did this past month! Day 1: A small gift to celebrate a friend pursuing God-sized dreams. Let us be women who cheerlead and encourage one another, who celebrate, who whisper “do it” when she wonders whether she can. Day 2: This week we gave away our dining room table to a young single mom who was moving into a new home with her two littles. While we were cleaning the table to get it ready, Kyle decided we should also recover the seats. As we worked to do so, one of our kids asked why we would take the time to recover the seats if we were just giving it away. Kyle responded, “we wantto give away things in the best condition we can. We want to give people our best.” It’s a good reminder as we start this Advent season, let’s give people our best. 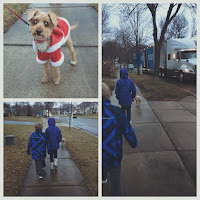 Day 4: Santa Paws (and the rest of us) attempted to deliver treats to our new neighbor this afternoon but miscalculated and got to say goodbye to our current neighbor as the movers finished loading up the truck instead! Isn’t it interesting that even our failed attempts can result in an unexpected double blessing: We got to say goodbye today and will be back with a “hello” tomorrow. Day 5: Today we wrote cards to two dear friends who have been ill. Jasmine wanted them to know that they were loved and held by God. 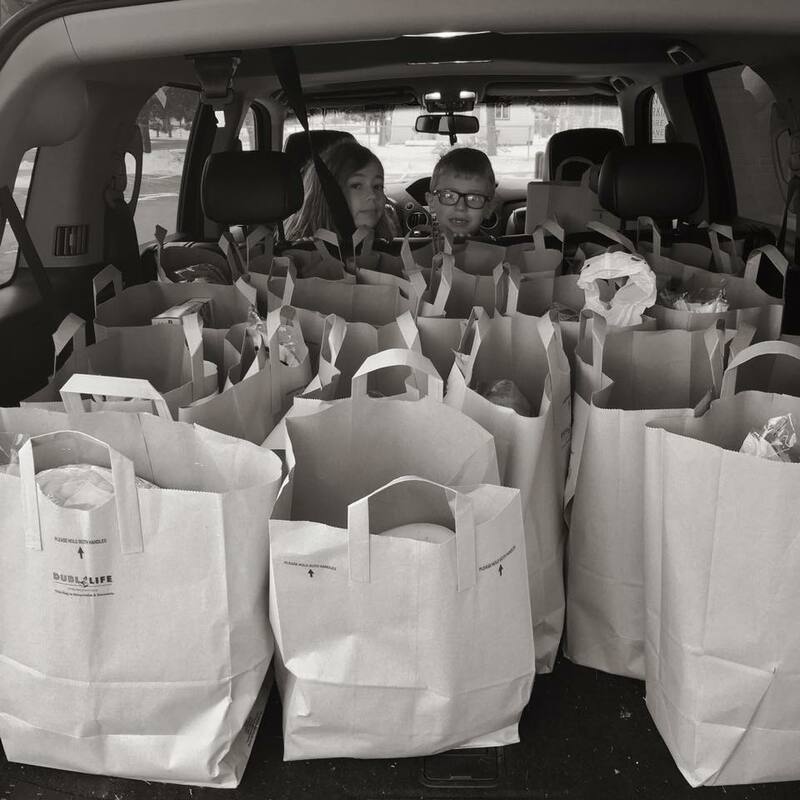 One of the most surprising things doing kind acts during Advent has taught us and our kids is compassion for others. And that is priceless. Day 6: For many years, my sister worked as a social worker at the VA. She would come home and tell us—anonymously, of course—the stories the servicemen and women would tell of what they faced and how the effects lasted long beyond their time in the military. Listening, I couldn’t help but wipe tears—and again today, as I reminded my children of the sacrifices others make for our freedom, I found myself wiping tears yet again. 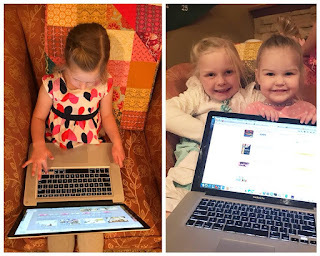 To make it tangible for my girls, we went online to support two organizations for servicemembers and their families—the USO Wishlist (my 5yo solemnly told me that it would be sad not to see family for Christmas, so she chose the “Family Fun Day” option), and items from Operation Gratitude’s Amazon Wishlist (my 7yo chose happy-face stress balls, our 2yo picked Mad Libs, and we stuck in jerky and batteries for good measure). We LOVE joining with organizations that are making such a difference for service members and their families! To those who have served or continue to do so, as well as your families: Your sacrifice doesn’t go unnoticed, and we are deeply grateful for you. Day 7: Aaron and I went on a double date with some dear, dear friends and both our families blessed our waitress with an above-and-beyond tip. It is SO fun to join forces and bless someone extra big on a cold Thursday evening. Day 8: The kids took goodies and a card to the staff at their school thanking them for all the hard work they do throughout the year. Day 9: Have I mentioned that my kids are way more athletic than I am? Today, 80 adults & kids (including Tim & our older girls) participated in a “Naughty or Nice” workout and collected more than 70 gifts for the Hanover Food Shelf’s Caring for Kids program! Making sure local kids have a good Christmas is definitely a reason to get sweaty on a Saturday morning, right?! Today’s lunch menu is pizza, Somali beef and rice, and Somali tea. Throw open the doors of your home and your life, it is so worth it. Day 11: Today we put coffee gift cards in our kindness books for two lucky shoppers at our local Barnes and Noble! Day 12: Today the girls and I bought pajamas in their sizes to send to Project Ignite Light, a nonprofit that helps kids who have been removed from their homes due to abuse or neglect. The PJs—along with other items the organization provides—offer hope to hurting kiddos in transition. One of my girls couldn’t help but say, “Ohhh, these are so pretty!” We hope we can help some other little girls feel that exact same way. Day 13: Today a dear friend gently reminded me that I was being fearful, that fear is not from God, and then gave me this adorable little sign as a reminder that God fills in our gaps. And isn’t that the truth of it? Don’t we all need a gentle reminder from time to time to fix our gaze on God instead of craziness of this world? Who can you encourage today? Day 14: Today my kids picked out one of their gifts for Christmas to give to someone else. Every year they scour catalogs from World Vision USA and Compassion International to find the perfect gift. 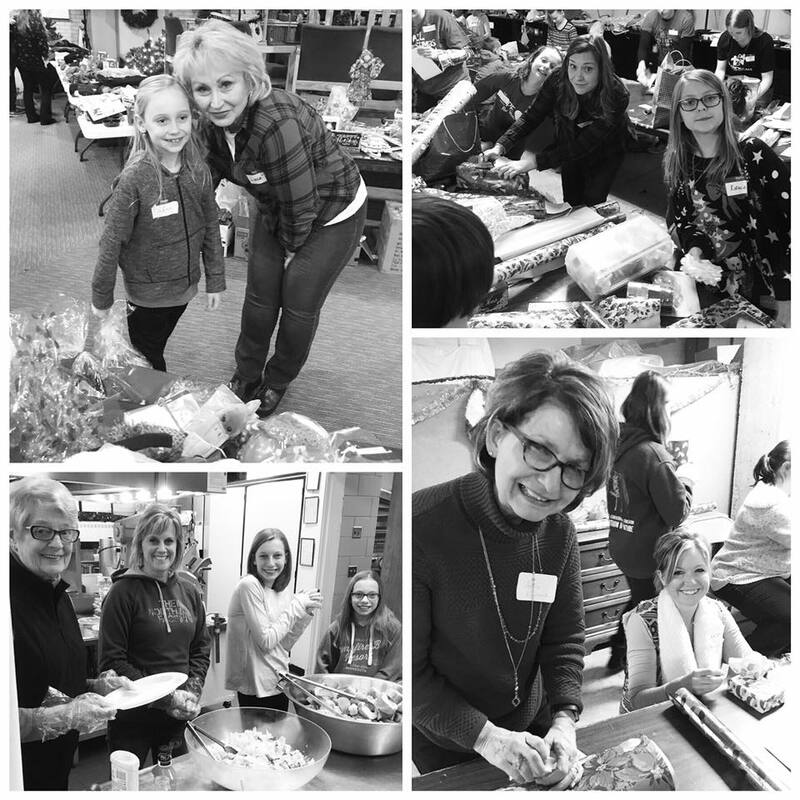 This year they chose to help girls out of human trafficking, purchase farm animals, and give emergency aid where it’s most needed. Day 15: Today I brought a couple of homemade meals to an amazing mama who has kiddos with medical challenges. They spent the week at the hospital with one of her children and were spending a well-deserved day at home in their jammies. As I was taking a photo of the meal for this post, I couldn’t help but think of how unglamorous it looked. And it reminded me, yet again, how often kindness is unglamorous. How often kindness is done in quiet moments, in unseen encounters. How often it happens amid the mundane moments of our lives. How it’s often not picture-worthy—and yet, it’s profoundly memorable. If that’s you today—if you are doing things that seem overlooked or minor—we see you. And, more importantly, God sees you and honors the spirit in which your kind acts are done. Day 16: My husband is a befriender and a bridge-builder, and that means that he is constantly turning strangers into new friends. And that’s what we did tonight. We had a delightful dinner with strangers and left with a budding friendship. As an extroverted introvert, this is firmly outside of my comfort zone, and yet I cannot deny that some of my dearest friends were once strangers befriended by my husband. Who can you befriend this week? Day 17: Today our little faith community took to heart all the times in scripture we are asked to encourage one another in our faith. Each person was given a card that they would pass around as others called out giftings and God given traits they saw in that person. 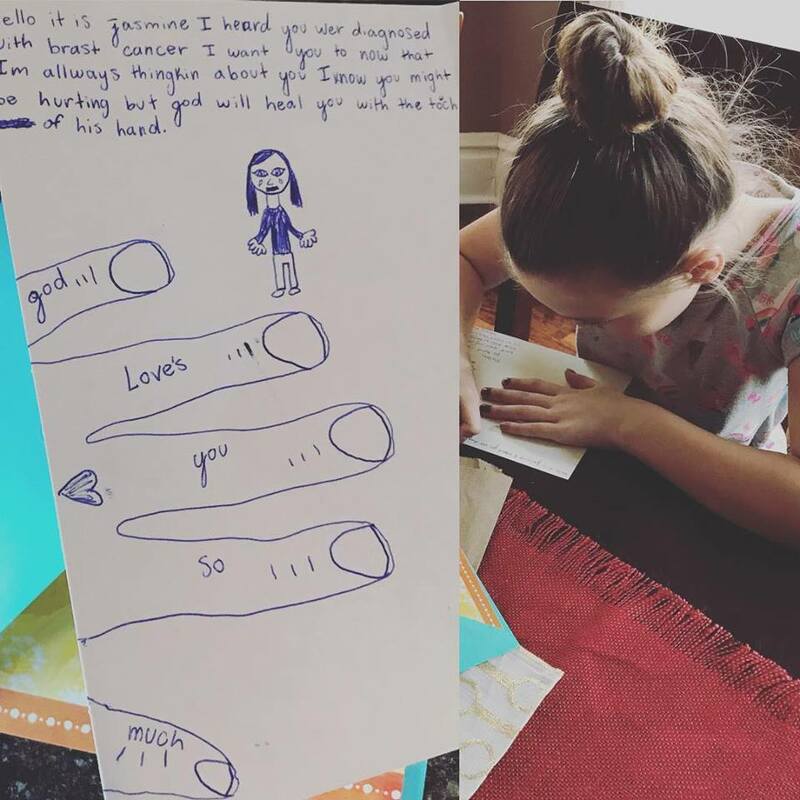 I loved reading the things written in the cards, especially in those of my kids. And as we went around and shared one thing written about us, the young kids especially glowed with the somewhat prophetic words written about each one of them. Encouraging words really can bring life to those who hear them. Who can you encourage today? “Nearly 75% of state prison inmates did not complete high school. 65% are dealing with substance abuse or addictions. Roughly half have a serious mental health issue. Years spent behind bars deprives people of formal education and job experience. ... (Yet) studies have overwhelmingly shown that prisoners who become more educated while incarcerated are less likely to return to prison.” (Taken from their website). Each month, on average, the nonprofit sends approximately 2,100 books to about 700 people incarcerated in Pennsylvania and the surrounding states. Today, through their Amazon Wishlist, I was able to purchase books on history and finance. It was just the click of a few buttons for me, but if I can help change the trajectory of someone else’s life, that is always money well spent. Day 19: Placing a gift in the mailbox for the mail person. 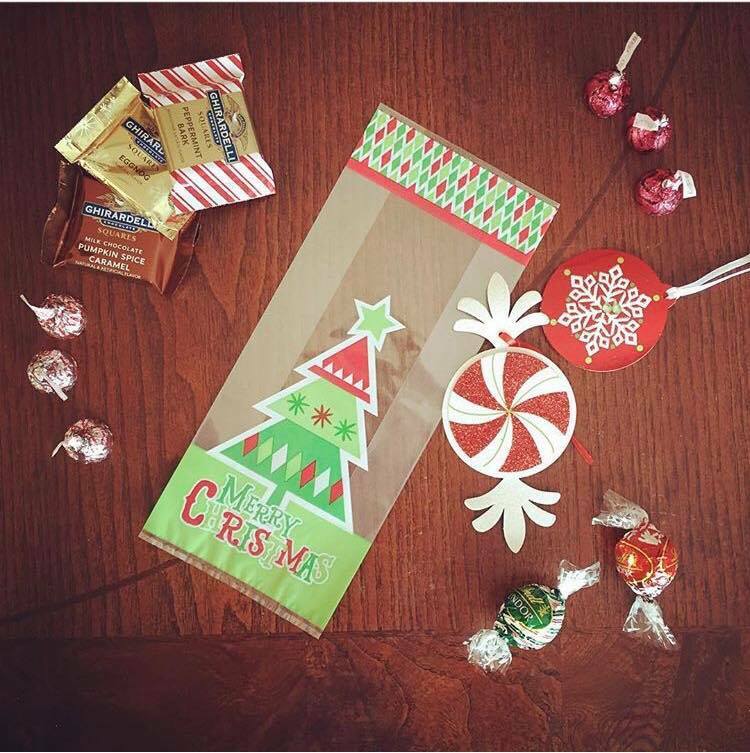 We do this every year and my kids LOVE it—stuffing a goodie bag full of candy, adding in hand-written cards, and tucking in a gift card. If it’s a weekend, they’ll peek outside periodically to see if they can spy her picking it up and are gleeful if they “catch” her. She always writes a sweet thank you the next day and they love seeing their kindness returned to them via her note of thanks. .
Day 20: Today we received 24 recovery bibles and workbooks that we’ll be donating to Katie's Wing at Place of Hope in St. Cloud. It's a place where women and their children can come and find shelter, stability and hope for a better life. Last year Katie’s Wing opened (and was named in honor of our sister Katrina) and we are thrilled to continue to partner with Place of Hope to love people well in our community. Day 21: Volunteering at Kids Hope Shop, one of my favorite days of the year. And boy, could he run. When he first arrived at the table, I caught a gleeful smirk as he eluded my grasp, happy to play this game. But now, he was tired of running and didn’t mind being rocked. As the presents were wrapped one by one, he fell asleep, head nodding as cookie crumbs clung to his mouth. And even as my arms fell asleep and my fingers went a little numb, I blessed the moment and the experience. Kids Hope Shop—an event where at-risk kids from the community can come and “shop” for their families for free—is always a highlight of my Christmas season. Today, while wrapping countless children’s gifts, I blessed the pause of holding someone else’s child until they fell asleep. When Jesus says to love our neighbor as we do ourselves, surely this is what he means. Holding on to a sweet bundle as though he was my own child, even amid the chaos and bustle of a hundred people. And doesn’t our gracious God give us those sweet reminders of how he loves us in exactly the same way, just when we need them the most? Holding us amid the chaos. Quietly guiding us when we would rather run. And tucking us close to his heart, giving us the peace and comfort we desperately need. Day 22: Plans sometimes change in the very best way: we spent the afternoon with our favorite music teacher. 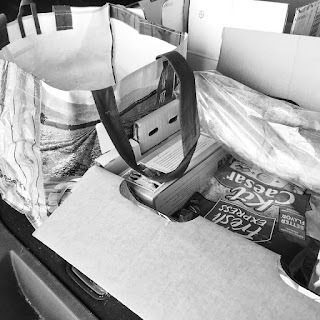 Her car broke down, and so we got to be her extra set of hands and wheels as we delivered four trunks worth of groceries to students’ families for the winter break. God bless our teachers who quietly and with dignity deliver food, clothes and hugs to their students and families. Day 23: Today we brought treats to our neighbors before they head out of town for Christmas! Day 24: Today we returned to an oldie-but-goodie AAK by assembling goodie bags filled with chocolates and then "candy bombing" the windshields of strangers at local emergency room and senior center parking lots. I may or may not have had to bribe my children with chocolate to get them to finish assembling the bags. Acts of kindness are always an adventure! Want to keep the kindness going into the new year? Check out our newest book, The One Year Daily Acts of Kindness Devotional, available wherever books are sold! And follow us on Facebook and Instagram for even more ideas!